Aluminum blinds, also known as mini blinds, are a budget-friendly choice available in wide selection of colours, and are an ideal choice for many rooms in the home. Because they are highly durable and moisture resistant, mini blinds are an ideal window covering for bathrooms and kitchens. 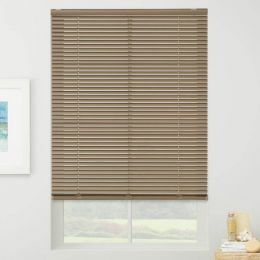 Aluminum blinds provide a high level of control over incoming light and privacy with easy lift and tilt functionality. 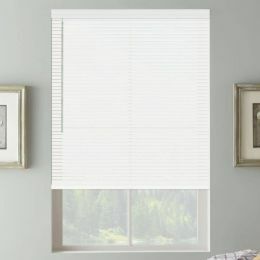 Mini blinds are one of the lightest blinds available, making them easy to install and operate for many years. 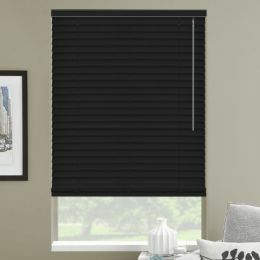 Due to their thin design, mini blinds are perfect for windows and doors with shallow depth. Most of our mini blinds are available with a cordless lift system – proving the ultimate in child safety with a clean, streamlined look. 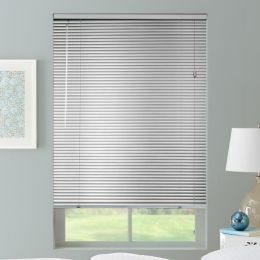 Ready to order the right mini blinds for your home? Feel free to start with free samples or contact our Customer Satisfaction Team if you have any questions.